A tweet posted shortly after Apple’s recent Macbook launch event underlined the absurdity: Apple now sells 17 different types of dongle. 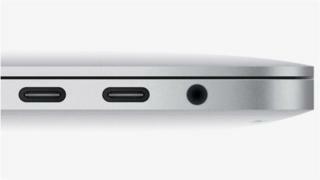 In its ever-escalating war against connectivity ports, Apple’s latest computers do away with the SD card port, a full-size USB port, and the HDMI port. Instead, you’ll need a dongle to convert those “legacy” connectors, as Apple put it on Friday, into the new, smaller USB-C port. "We recognize that many users, especially pros, rely on legacy connectors to get work done today and they face a transition,” the company said in a statement, without acknowledging that Apple’s newest iPhone, released just last month, is one such “legacy” device - without a dongle (or a different cable, sold separately), you can’t connect Apple’s new smartphone to Apple’s new laptop. “We want to help them move to the latest technology and peripherals, as well as accelerate the growth of this new ecosystem." That help will be a decent discount on the price of the dongles - it calls them adapters - until the end of this year. The most popular one is likely to be the USB to USB-C adapter - which will be $9, down from $19. For connecting iPhones (both new and old), you’ll need a $19 Lightning to USB dongle - although you could use an old Lightning to USB cable if you bought the USB to USB-C adapter. Keeping up? It’s an acknowledgement that Apple’s pro users aren’t exactly thrilled with the latest offering from the company considered to offer the gold standard in laptops. The bigger issue here, and one that was expertly discussed in a Medium post by technology journalist Owen Williams, is what many see as a muddle at the heart of Apple’s newest products. For a company that rightly prides itself on creating products that “just work”, it’s literally descended into something of a tangled mess. Apple has, Mr Williams argued, created computers that lack a core selling point. For pro users, the types that use their Macs for graphic design and video editing, the new range only serves to take away functionality existing Macbooks provide. Those factors combined mean the dongle issue, one Apple might have got away with in the past, has caused added frustration to the faithful who had been waiting for a serious Macbook upgrade for some time. Dongles get lost, forgotten and broken. They’re an added source of vulnerability when it comes to things accidentally being pulled out when uploading some data, corrupting the lot. The Macbook future, at least for a short while, is a rag-tag spaghetti junction of dongles strewn across a desk or stuffed into a bag. In offices around the world, inboxes will fill with passive aggressive requests for “whoever took my iPhone dongle” to “please put it back where you found it, no questions asked”. And when something doesn’t work, you’ll now need to ascertain: is it the device that’s broken? Or the cable? Or the port? Or the dongle? But hold up. Apple has form here, and history mostly proves them right. Where Apple goes, others normally follow. Earlier Macbook models already did away with ethernet ports and the CD/DVD drive - a move which seemed absurd at the time, but I’d argue Apple was ultimately exonerated. When was the last time you put a CD into your computer? So in time, the accessories we use every day will become USB-C as standard, no question about that, and the dongles will no longer be needed. But in the short term, Apple is left with a product that that no longer caters to either end of the market. Data suggests schools, parents and bosses are looking to Google’s cheaper Chromebooks, which this year began outselling MacBooks. And if we’re looking at MacBooks as being as part of the bigger Apple planet, we’re left with a company that appears to be behind in many areas. Its iPhone is still king, but sales have been in decline. Apple doesn’t have any virtual reality hardware. It doesn’t have any augmented reality hardware. Or a car - autonomous, electric or otherwise. In artificial intelligence, Apple's Siri is considered to be the least smart of the mainstream smart assistants, and unlike Google and Amazon, it can’t yet be found in a family-friendly home device. Tim Cook appears to be throwing money at the problem(s). Spending on research and development has ballooned in the past three years, though Mr Cook is staying typically mum about what exactly the company is working on - only to tell worried investors that his company has the "strongest pipeline that we've ever had and we're really confident about the things in it”. Only an idiot would write off Apple and its future. I don’t intend to be that idiot. Apple wasn’t the first to market with the smartphone, not even close, but it went on to define the industry and produce the most profitable piece of technology ever made. It could do that again and again in these new areas. As the world’s richest company, it has time and resources on its side. But with that in mind, couldn’t it afford to pop a dongle or two in the box to make its present-day customers a little happier? Mac v PC - who's cooler now?